Highest Rated Bail Bonds Company in Savannah, Georgia. Bail Bonds company in Springfield, Statesboro and Savannah, Georgia. Savannah Bail Bonding is not just another Savannah’s bail bonds company. We pride ourselves in offering you the kind of service you would expect from a small town company. We take the time necessary to help you understand the Georgia bail bonds process. And yes, we are fast. We don’t sell confusion, we sell satisfaction. We learned a long time ago that clients that understand the bail bond process and know their risks up front are more likely to be satisfied. Allowing Savannah Bail Bonding to post your bond will give you the peace of mind to know that professionals are assisting you during this difficult situation. We will work with you throughout the whole process. Savannah Bail Bonding will not release any information about you or the person being detained. You can rest assured that your personal information is in good hands. We specialize in bail bond services in Savannah, Statesboro and Springfield,Georgia. Savannah Bail Bonding provides you and your loved ones with fast, dependable and confidential 24-hour bail bond services. From driving violations to serious felonies, we are here to help get you out of jail fast. 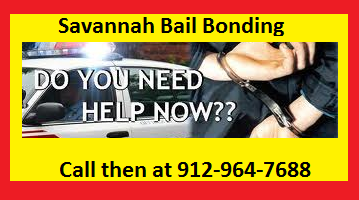 Savannah Bail Bonding is your simple solution. Get out of jail now by calling Savannah Bail Bonds in Garden City,Georgia. We offer bail bonds locally and nationwide to help you obtain your freedom as soon as possible. Contact us to speak to one of our bail bondsmen about your needs today. Call (912)964-7688 to find out more about our bail bonds or to ask for one today.